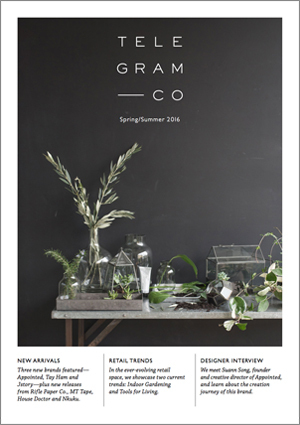 Telegram produce two editions of a year of a seasonal catalogue, featuring new arrivals, interviews with designers and more. Periodically we may also have season catalogues from some brands. For our full catalogue of products, existing customers can access this after logging in.